State Representative John Nygren has been tackling the Opioid Epidemic head-on with his HOPE Agenda. As a parent John has personally been affected by opioids, making if difficult for him to standby and watch. In the video below Representative John Nygren discusses his struggles and shares his story. John has made a vow to help make changes to improve the condition of Wisconsin and ultimately our Nation in regards to the Opioid Epidemic. Since 2013, Rep. Nygren has introduced and passed many bills to lay the foundation for his Heroin, Opioid, Prevention and Education (HOPE Agenda). His bills work to limit abuse and fraud in regards to narcotic/opiate prescription medication. Rep. Nygren, believes it’s been too easy to obtain prescriptions to narcotics and opioids fraudulently, ultimately adding to the amount of illegally obtained prescription medication on the streets. Opioid/Heroin abuse often results in accidental over-doses, making it imperative that first-responders learn to safely treat an opioid overdose. Rep. Nygren has pushed to educate and train first responders, EMTs, police and fire firefighters on how to administer Narcan, a drug containing Naloxone a drug that works to counter-act a opioid or heroin overdose. 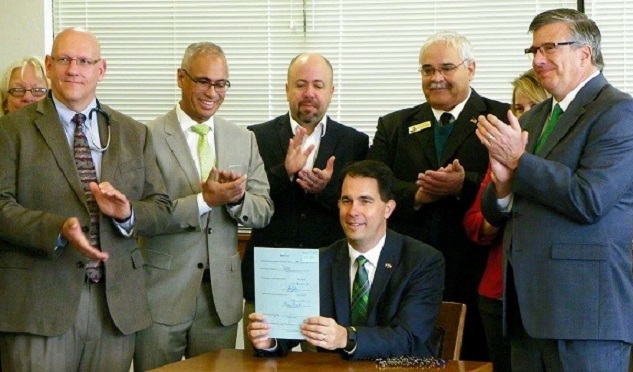 In addition it allows an person or persons involved in administering the drug immune for civil or criminal liability as long as their actions are consistent with Wisconsin’s Good Samaritan law. Rep. Nygren has also worked to clean up the improper disposal of prescription drugs. Often times unused prescriptions go into the hands of individuals whose intentions are to sell or use the drug illegally. Commonly prescription drugs are sold along-side heroin on the streets because they were obtained by and individual who didn’t properly dispose of their prescription or negligently gave it away. Many individuals in underserved areas seek medical attention and counseling for substance abuse. Rep. Nygren has put together pilot programs that determine an individuals needs, while providing treatment and counseling. Once and individual is has successfully completed the program, they’re subsequently moved to a county-based or private out-patient treatment setting. Rep. Nygren continues to work with law enforcement, rehabilitation groups, pharmacists, and the legal community to build a solution comprised of many pieces to combat the growing issue of opioid misuse. In additional to the bill’s fore-mentioned the HOPE Agenda has worked to spread awareness in schools, change the way the legal system treats individuals suffering of substance abuse, regulate the workings of methadone clinics, limit accessibility to narcotics in pharmacies, ramp up efforts to stop drug-trafficking. The HOPE Agenda continues to make significant strides in the war against opioids and heroin. Their goal is to make Wisconsin a safer place has been incredibly successful, and with the support from the community will continue to. HOPE Agenda continues work on legislation and regularly finds new ways to educate Wisconsin on opioid and heroin abuse. Join their Facebook page https://www.facebook.com/HOPEAgenda/ and find out how you can contribute to the success of the HOPE Agenda.